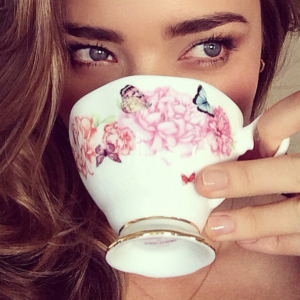 Supermodel Miranda Kerr is the face of Royal Albert china. “Friendship is the basis of the collection,” she says, when asked about the inspiration behind her Royal Albert tea wares. 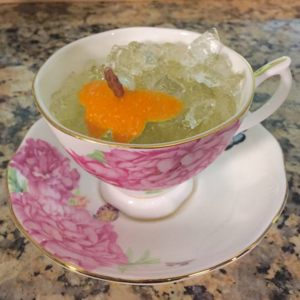 It’s about “having tea with friends and taking time to sit down and connect, especially in the busy world of today”. As a child growing up in rural Australia, Miranda enjoyed having tea with her grandmother using her precious china tea set and learned how to appreciate beautiful things. Her new Friendship china collection for Royal Albert has all the accessories for the perfect tea party, including teapots, cake stands and dainty cups and saucers. The evocative names of the Friendship patterns Joy, Gratitude, Devotion and Blessings, touch our emotions and make them the perfect gift for the Holidays. Royal Albert was founded in 1896 and is renowned internationally for producing fine English bone china tea-wares with floral decoration. Old Country Roses is the best-selling china pattern in the world and has been made by Royal Albert for more than 50 years. 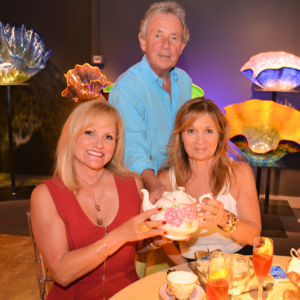 Royal Albert has been part of the Royal Doulton group since 1972 and is a great favorite with Michael Doulton, our guest of honor at WMODA on November 9th. 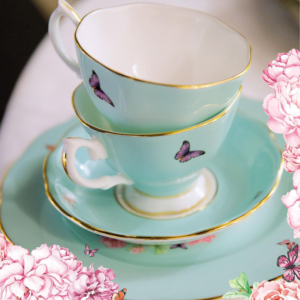 You can purchase the Miranda Kerr collection for Royal Albert at our new Teatime Boutique.